Pumps and Systems for Industry is pleased to announce that John Lynady and Tim Lynady have joined the company effective March 28th, 2011. John and Tim bring years of business and government experience to PSI. Please extend a warm welcome to John and Tim on your next call to PSI. We are your single source for pumps, air compressors, variable speed drives, heat exchangers, mechanical seals, tools, and process equipment. We provide complete sales, service, parts, and installation. 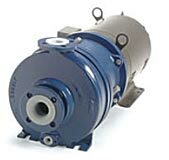 Call PSI today with your industrial, municipal, HVAC, power or residential pump and related product requirements. ©2010 Pumps and Systems for Industry, Inc.